Blood must always circulate to sustain life. It carries oxygen from the air we breathe to cells throughout the body. 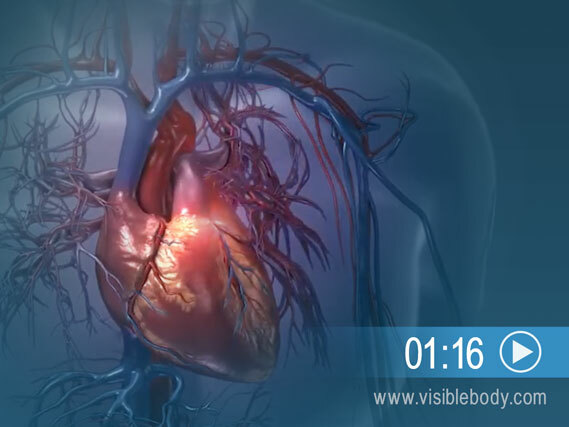 The pumping of the heart drives this blood flow through the arteries, capillaries, and veins. 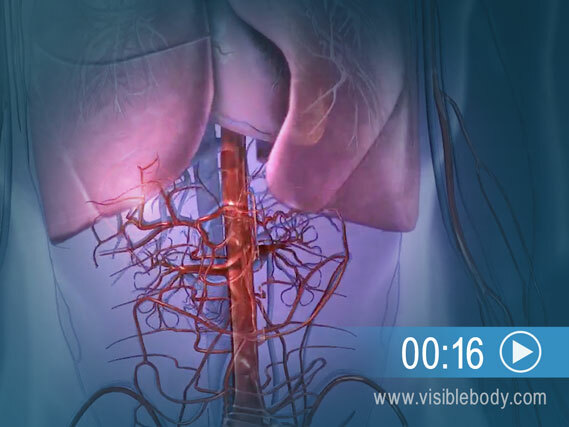 One set of blood vessels circulates blood through the lungs for gas exchange. The other vessels fuel the rest of the body. Read on to learn more about these crucial circulatory system functions. 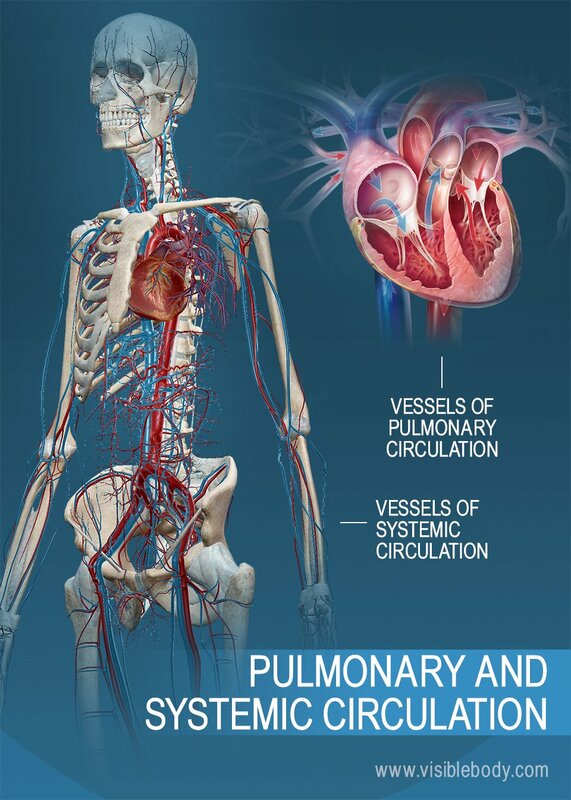 Pulmonary circulation moves blood between the heart and the lungs. It transports deoxygenated blood to the lungs to absorb oxygen and release carbon dioxide. The oxygenated blood then flows back to the heart. Systemic circulation moves blood between the heart and the rest of the body. It sends oxygenated blood out to cells and returns deoxygenated blood to the heart. The heart pumps oxygenated blood out of the left ventricle and into the aorta to begin systemic circulation. After the blood has supplied cells throughout the body with oxygen and nutrients, it returns deoxygenated blood to the right atrium of the heart. The deoxygenated blood shoots down from the right atrium to the right ventricle. The heart then pumps it out of the right ventricle and into the pulmonary arteries to begin pulmonary circulation. The blood moves to the lungs, exchanges carbon dioxide for oxygen, and returns to the left atrium. The oxygenated blood shoots from the left atrium to the left ventricle below, to begin systemic circulation again. The circulatory and respiratory systems work together to sustain the body with oxygen and to remove carbon dioxide. 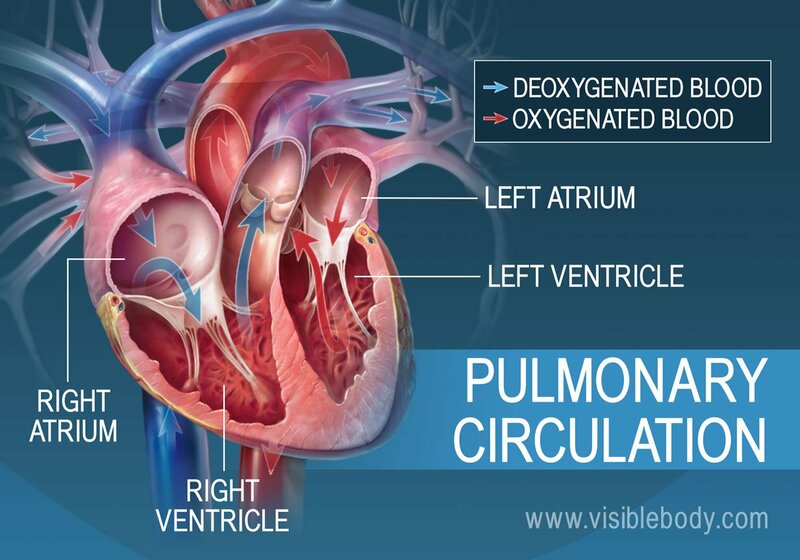 Pulmonary circulation facilitates the process of external respiration: Deoxygenated blood flows into the lungs. It absorbs oxygen from tiny air sacs (the alveoli) and releases carbon dioxide to be exhaled. Systemic circulation facilitates internal respiration: Oxygenated blood flows into capillaries through the rest of the body. The blood diffuses oxygen into cells and absorbs carbon dioxide. 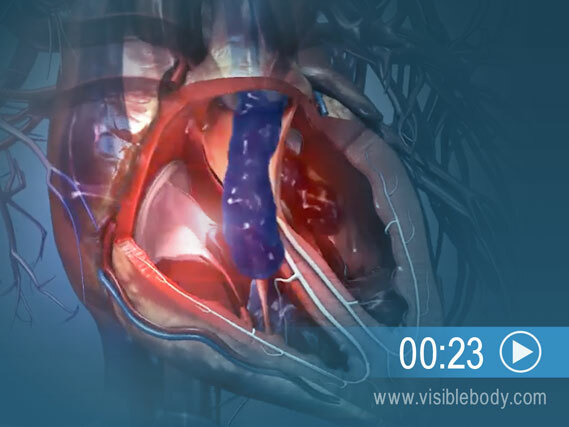 In the pulmonary loop, deoxygenated blood exits the right ventricle of the heart and passes through the pulmonary trunk. The pulmonary trunk splits into the right and left pulmonary arteries. These arteries transport the deoxygenated blood to arterioles and capillary beds in the lungs. There, carbon dioxide is released and oxygen is absorbed. Oxygenated blood then passes from the capillary beds through venules into the pulmonary veins. The pulmonary veins transport it to the left atrium of the heart. The pulmonary arteries are the only arteries that carry deoxygenated blood, and the pulmonary veins are the only veins that carry oxygenated blood. In the systemic loop, oxygenated blood is pumped from the left ventricle of the heart through the aorta, the largest artery in the body. The blood moves from the aorta through the systemic arteries, then to arterioles and capillary beds that supply body tissues. Here, oxygen and nutrients are released and carbon dioxide and other waste substances are absorbed. 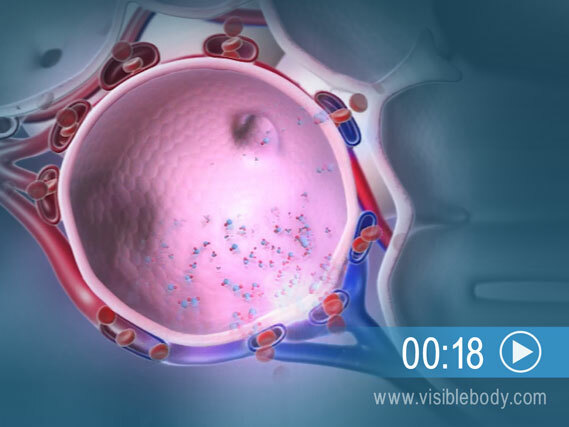 Deoxygenated blood then moves from the capillary beds through venules into the systemic veins. The systemic veins feed into the inferior and superior venae cavae, the largest veins in the body. The venae cavae flow deoxygenated blood to the right atrium of the heart. A description of the vascular system from the 1918 edition of Gray's Anatomy of the Human Body.